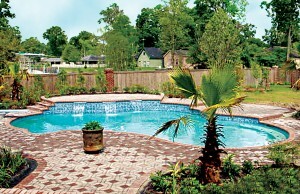 Blue Haven Pools brings sun-splashed fun and aquatic beauty to Louisiana homeowners and their backyards. 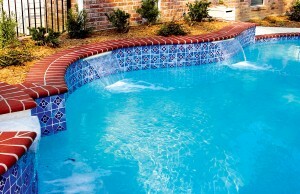 When you choose us as your swimming pool contractor, it means your inground pool will be built by a fully insured, properly licensed, financially stable Louisiana pool company. We use experienced pool-construction crews, and our sales staff carry certification from the American Academy of Pool Designers. For building our gunite pools, we use reliable, top-tier pool equipment that makes pool ownership easier and more affordable. Options like LED lighting, automation and remote controls, and super-size cartridge filters save you time and money, and they are better for the environment. Remember, you get what you pay for. If a pool contractor is willing to build your pool at below-market cost, there is usually a dubious reason why. Or several. One may be that the builder is operating on cash flow. In other words, they have no kind of financial cushion; to keep running on at their virtual financial treadmill they must keep customer payments coming in the front door to cover past-due bills—sometimes from previous jobs. 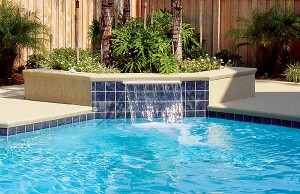 Another way that your pool builder may cut corners is with their materials and equipment. Quality may be compromised with lower standards on variables such as the spacing of steel bars, the gauge of the steel, quality of the interior finish, gauge of PVC pipe, thickness of the gunite, or quality of sealants. When it comes to your pool equipment, you want to be sure your contractor is not shortchanging you. Some brands and models have minimal warranties, poor energy consumptions, and parts that deteriorate more rapidly—especially in the Louisiana heat and humidity. And if the equipment quality is decent, your contractor could skimp on its size or power. For example, you may have to run your heater longer to warm your spa or operate the pool pump more hours each day to circulate your pool water effectively. You should always have a potential pool builder visit your property to prepare a bid. With Blue Haven, we will come and conduct a thorough assessment of your backyard. Of course, we also consider your individual family needs and preferences for how you plan to use your pool and how you want it to look. Your Blue Haven designer will then draft a plan for your aquatic retreat for your review. In most cases, they will prepare the plan during this initial visit. After any revisions you request are made, you then approve the plan with the details. Based on the plan, you will receive a comprehensive sales price estimate. We will do our best to work within your budget to provide the size, shape, features, and material choices you want. It’s always smart to get several bids on a major home improvement project like a gunite pool. 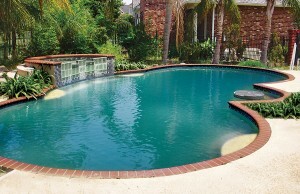 Be sure to obtain all inground pool cost proposals in writing. Carefully review them with each competitor, and ask questions to learn exactly what you will get with your project. After all, a legitimate pool company should have zero concerns about answering questions about competitive differences. Your dreams for a beautiful outdoor resort can come true, and we would love the chance to be the pool builder who brings them to reality.